Do black students really misbehave more in Bangor’s schools? 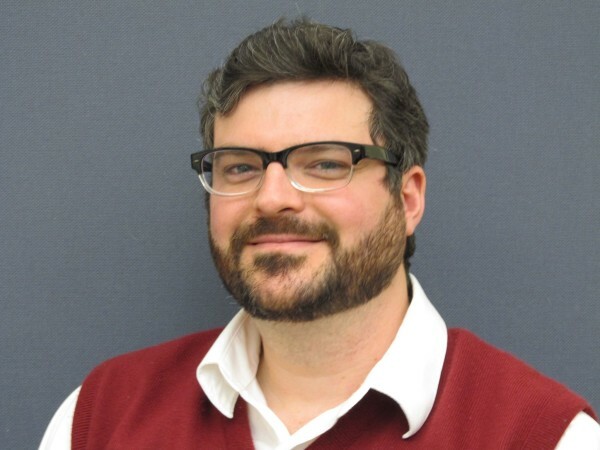 Michael Rocque is an assistant professor of sociology at Bates College. By now, most of us are familiar with the term “mass incarceration.” The United States, some time ago, engaged in an unprecedented experiment with punishment that resulted in the locking up of more than 2 million individuals — more than 25 percent of the world’s incarcerated population. Recently at Bates College in Lewiston, where I work, we celebrated Martin Luther King Jr. Day by tackling the interconnections between mass incarceration and race, grappling with questions such as why white men have a one in nine chance of ever ending up behind bars while a black man faces a one in three prospect; why blacks are more likely to have prison terms of over 25 months compared to whites (who are more likely to have terms of less than 25 months). We, like many across the nation, including the current presidential candidates, tried to understand why mass incarceration happened after nearly a century of prison rates that were relatively flat. Is it because of increasing crime in the 1980s? Out-of-control prosecutors? Increasing punitiveness toward drug offenders? More sophisticated and efficient policing? Perhaps a combination of the above? Yet these conversations and debates appear to have occurred in a vacuum. The assumption is that since incarceration happens in the criminal justice system, something in that system must be to blame. Lost in nearly all the conversations about mass incarceration is that other systems experienced similar punitive turns around roughly the same time. The use of exclusionary discipline in schools has increased over time. Rates of suspension doubled from 1973 to 2006, according to one report (uniform data sources on suspensions are hard to come by), and this increase has continued. Not only that, but the racial disparities seen in the criminal justice system mirror those in school discipline. Nearly every study that has been done to date finds black students are more likely to be referred to the office and suspended than others. The “school-to-prison” pipeline has emerged as a term to describe the growing connections between the school system and the criminal justice system. Students who are suspended are more likely to drop out, and students who drop out are more likely to wind up arrested or jailed. Yet the imagery this metaphor conjures is one of a feeder system, that one causes or is the foundation for the other. It should not be overlooked that mass incarceration and mass school discipline emerged at similar times and have had similar consequences. Perhaps, then, there was something cultural about this turn toward mass punishment. In a recent piece, I along with Quincy Snellings (a former student), argue that the criminal justice and education systems became less concerned with individual treatment and more interested in risk assessment, group management and exclusion of undesirables — something scholars referred to in the criminal justice domain as “the new penology.” Rhetoric and strategies such as “three strikes and you’re out” and “zero-tolerance” look good on paper but have failed in application. Not only has this disrupted lives, it has not resulted in appreciable gains in public safety. Suspensions, for example, have not been demonstrated to reduce problem behavior or improve the environment of schools. Similar to the criminal justice system, stark disparities, particularly with respect to race, exist in school discipline. Black students, for example, are nearly universally overrepresented in suspensions. This occurs even here in Maine, where in Bangor, while blacks represent only 2.5 percent of the student body, 12 percent of all suspensions at Bangor High School are black students. Is this the result of differences in misbehavior? The research tends to suggest not. If we want to dismantle mass incarceration — as Hillary Clinton and Bernie Sanders have promised to do — then we need to look beyond the confines of the criminal justice system. The connections between education and criminal justice are too strong to ignore. We have to reframe our conversations about appropriate responses to inappropriate behavior. Exclusionary punishment — incarceration or out of school suspensions — should be last resorts, not first options. But more importantly, we need to have a broader conversation about why our society in general has turned to exclusionary methods of control instead of more inclusive, reintegrative approaches. Michael Rocque is an assistant professor of sociology at Bates College. He is a member of the Maine chapter of the national Scholars Strategy Network, which brings together scholars across the country to address public challenges and their policy implications. Members’ columns appear in the BDN every other week.